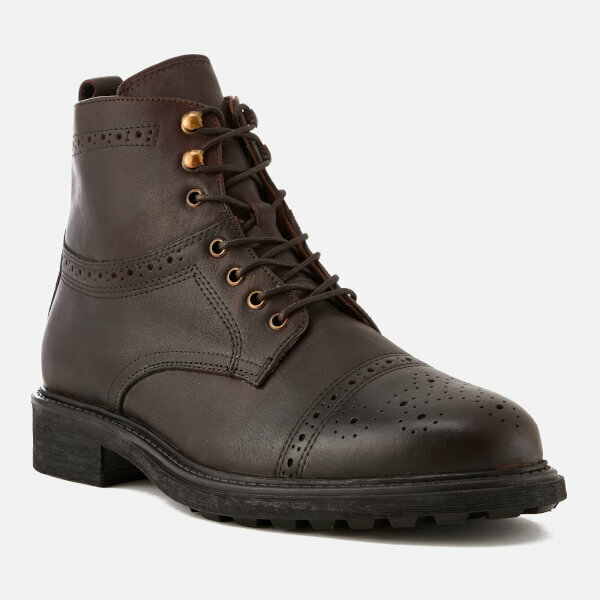 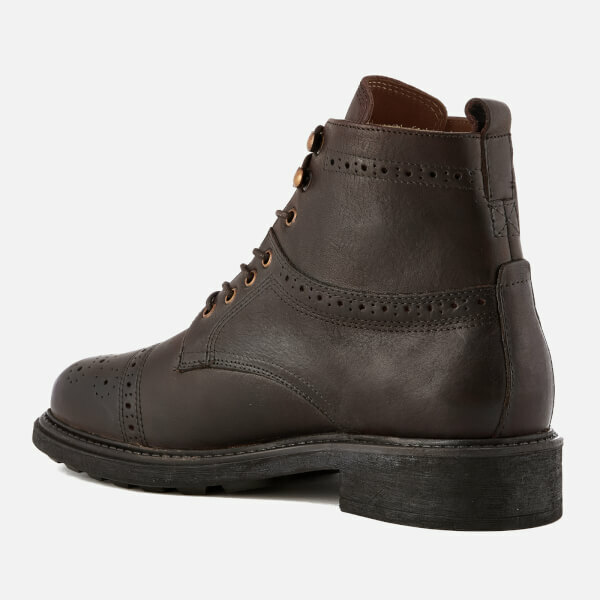 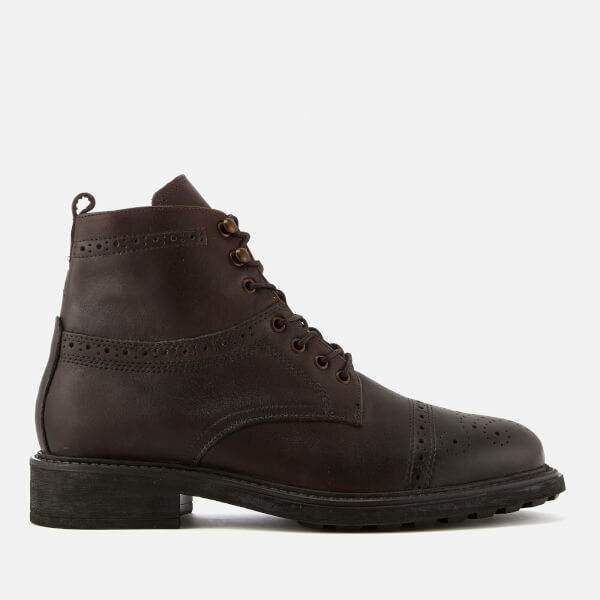 Men’s brown leather brogue boots from Hudson London. 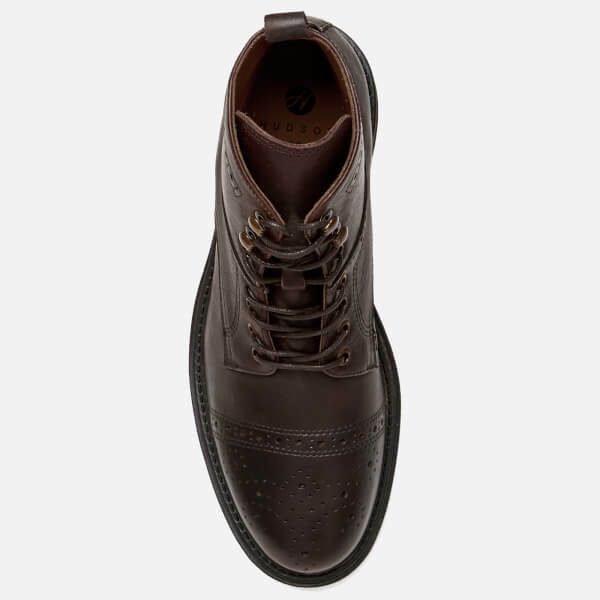 Crafted from grained leather, the ‘Fernie’ boots feature a seven-eyelet lace fastening, punched brogue detailing throughout and toe cap detail. 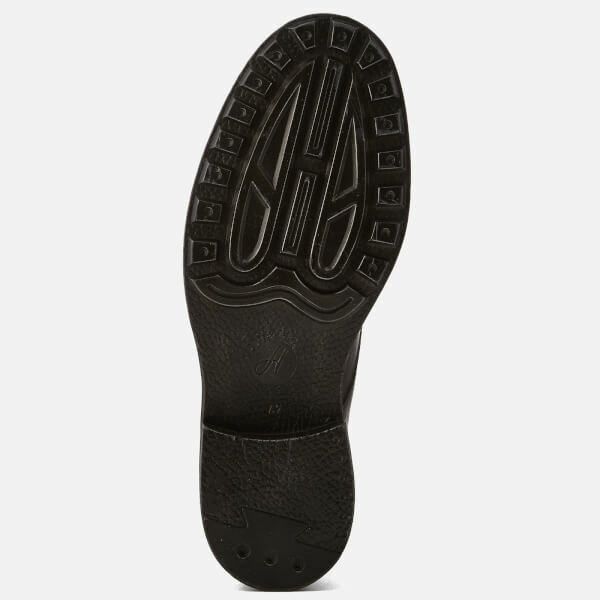 Set on a chunky rubber sole with a small heel, the boots have a textured outsole for added traction. 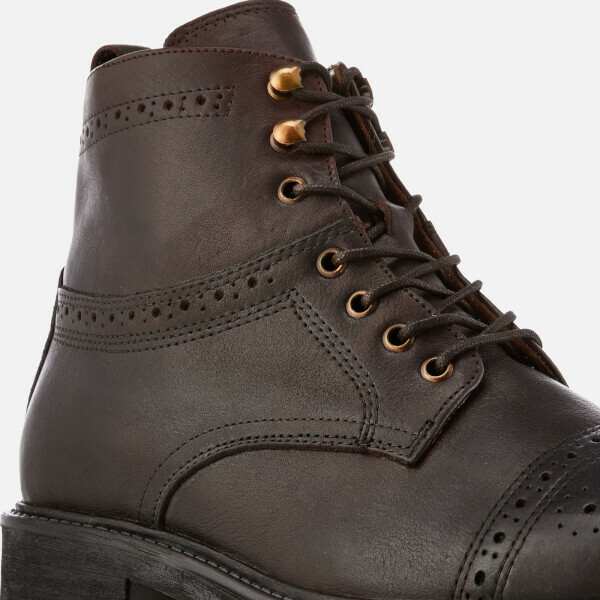 Complete with dual lace hooks to the top, a heel pull loop and tonal topstitching throughout.